DefenceVPN is a newbie in the industry but it is learning very quickly. Just like all the rest of VPN service providers, DefenceVPN wants you to believe something about it. Mainly, that it is the best VPN service in the world. They also want you to trust them when they say that DefenceVPN is the fastest VPN service provider in the world. It is also the most reliable. But these are just claims. In other words, everybody makes them. But very few can back these claims up with hard facts. This DefenceVPN review will show you whether DefenceVPN lives up to its claims. DefenceVPN is one of the newest VPN service providers in the market. For evidence, you can always visit DefenceVPN blog. It doesn’t have blog posts that are too old. 2 What About P2P And Non-P2P Packages. 4 What About Money Back Guarantee And Free Trial? 7 What About DNS Leak Protection? 10 How Does DefenceVPN Implement OpenVPN? 12 Does DefenceVPN allow P2P? 15 What About Simultaneous Connections? 18 What Is Warrant Canary? 19 Where Is DefenceVPN Based? 27 What About DNS Leaks? Spend a bit of time surfing DefenceVPN official website and you’ll find that it is neatly organized. This is great if you consider the list of things a new VPN service provider has to get right in order to make a mark in the industry. Moreover, the official website also has a link to a DNS leak test at the bottom of each page. The DNS leak test is carried out on the official website itself. This is a great feature that we think many users will want to use when they sign up for DefenceVPN. All of these are generally considered as promising signs. But can DefenceVPN continue its initial momentum and turn it into something remarkable? Well, we’re going to find out aren’t we? And we will, because it doesn’t cost much to sign up for DefenceVPN and it is certainly one of the most exciting new VPN service providers in the industry today. If we’re talking about plans, then DefenceVPN has three plans. But some can consider them to be just one. Because they all offer, more or less, the same features. The only real difference between the three plans is the duration of each plan. Users also have the option of enabling peer-to-peer connections. The best part about DefenceVPN plans is that they are really economical. More like a bargain if you consider the features that DefenceVPN offers. In other words, you can consider DefenceVPN as a cheap VPN when it comes to price. What About P2P And Non-P2P Packages. It seems DefenceVPN has changed a lot in the past year or so. Before they had two type of packages. 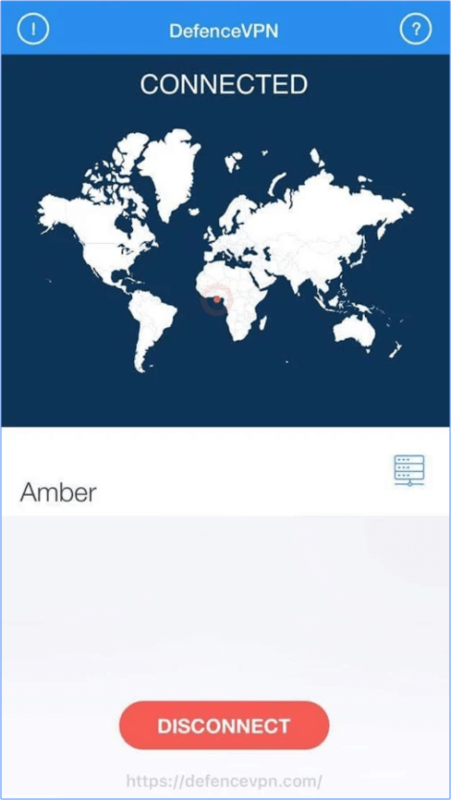 All of these plans came with the option to connect to VPN servers located in nine different countries. The with-P2P packages had exactly the same features as the non-P2P plans. But they had an additional three servers for P2P activities. As mentioned before, it seems as if DefenceVPN has changed a lot of things regarding its VPN service. One of those things is the pricing plans. Now, they have three main packages. All of them come with the same features. What About Money Back Guarantee And Free Trial? DefenceVPN isn’t that much clear on how long a free trial it allows. Just a few months ago, the company offers a full day as a free trial to new users. Now, there is only a money-back guarantee. That money-back guarantee lasts for a full week. Of course, this is still better than many other VPN service providers. Some VPN service providers don’t give you a free trial. And some don’t even have a money-back guarantee. To use the one-day free trial, you actually have to sign up with DefenceVPN using one of the offered payment methods. This is of course not ideal but still good enough. Not Bitcoin for users who want more privacy and anonymity. Remember when we said that for the features it offers, DefenceVPN is a cheap VPN? Because it only offers the most basic of features that you would associate with a VPN service. It doesn’t have many extra features, in other words. First of all, DefenceVPN doesn’t have its own dedicated VPN client for any platform. The only way you can use DefenceVPN is via a third-party VPN software such as OpenVPN GUI software. This also means that you can’t have any extra features that OpenVPN app doesn’t support. Hence, it is quite a stretch to call DefenceVPN a fully featured VPN service. DefenceVPN does come with some advanced features such as a kill switch and of course, the auto-connect feature but that is it. There is also a double encryption feature which the company introduced very recently. Since DefenceVPN uses OpenVPN GUI client as its default VPN app, it does protect against DNS leaks. In other words, it only has the DNS leak protection feature because it has become a standard feature in the latest version of OpenVPN GUI. DefenceVPN also supports IPv6 and IPv4 protection. As far as encryption protocols go, DefenceVPN offers PPTP and OpenVPN. PPTP is now considered as an outdated VPN protocol. And hence it is not safe to use it. OpenVPN is the new standard in the VPN industry. It is fast, reliable and secure. Elite VPN service providers offer a bit more when it comes to encryption protocols. In any case, we recommend that new users should stick with OpenVPN. Do keep in mind though that OpenVPN on its own cannot keep your privacy and anonymity secured. You need to learn some new security tips to really secure yourself when online. Moreover, you must know how to implement any given VPN protocol. If you don’t do that then there is no point in having a VPN service with strong encryption. We’ll discuss more about DefenceVPN OpenVPN implementation in the upcoming sections. OpenVPN, which is the best encryption protocol and the most recommended on because of its high level of security and privacy. DefenceVPN offers the OpenVPN protocol on all its platforms. Which is great to see for any VPN service provider. As indicated earlier, DefenceVPN does not have a dedicated VPN client. It makes use of the free but great OpenVPN GUI software application. The OpenVPN GUI is a third-party application and has no affiliation with DefenceVPN. Or any other VPN service provider for that matter. Now even though OpenVPN is a good choice, but experts don’t respect VPN service providers who don’t use their own dedicated VPN clients even though they charge people money for using their VPN service. And that makes sense too. If you don’t even have a software and you use someone else’s, then why not have a free VPN service then? With that said, it isn’t like OpenVPN is a poor choice. It does the job of securing your privacy really well. The latest version is particularly impressive. Because it included WebRTC leak. It also has DNS leak protection against IPv4 and IPv6 leaks. If we’re talking about free VPN apps, then OpenVPN GUI is a pretty reliable way to connect to a VPN service’s server. How Does DefenceVPN Implement OpenVPN? DefenceVPN representatives would tell you that the company uses the cipher AES 256-bit CBC along with hash authentication SHA-512 and Handshake RSA 2028 bit. All of this is pretty standard stuff. Moreover, DefenceVPN also makes use of Elliptic Curve Diffie-Hellman encryption method on all its VPN servers. As mentioned before, even though the company is based in Canada, according to official sources, it does have servers in offshore locations. Canada has strict data retention laws, but since DefenceVPN offers a warrant canary, its users are safe and sound. The Elliptic Curve Diffie-Hellman encryption implementation is a good sign that DefenceVPN takes encryption seriously. People should always try to sign up for VPN services that offer perfect forward secrecy. DefenceVPN does have perfect forward secrecy. The previously mentioned AES- 256 bit CBC is a very robust piece of encryption technology. Moreover, the authentication size is something to admire. The SHA-512 belong to the SHA 2 family. This technology is also very durable. Finally, DefenceVPN makes use of the RSA 2028 bit handshake technology and many in the VPN industry consider it as strong. As far as encryption goes, DefenceVPN hits the mark perfectly. DefenceVPN also uses unlogged dns.watch servers. If you use sites like ipleak.net, you will see that DefenceVPN does indeed protect you against DNS leaks. But of course, DefenceVPN uses OpenVPN GUI application which has a built in functionality for DNS leak protection. So if you want to engage in torrenting and download lots of files then DefenceVPN will suit you a lot. DefenceVPN also allows peer-to-peer file sharing. Just a while ago, DefenceVPN did not offer P2P sharing on all its servers. The official website clearly said that to use torrenting technologies, users would need to sign up for an extra feature. This feature would allow them to use three extra servers. These three extra servers, the company said, were designed with P2P in mind. Moreover, the company also said that regular users can’t use these P2P servers. And it seems like everybody gets to have access to P2P servers. DefenceVPN has a neat little firewall feature called the NAT firewall. It is basically a server that operates between the Internet and the VPN server you are connected to. It makes sure that all internet traffic if first filtered through Defence VPN NAT firewall before it goes out into the open wild. Of course, this is great as far as security is concerned. But we’ll tell you this right now that it isn’t as big of a deal as some VPN service providers like to pretend. Because most modern operating systems such as the Windows come with a default firewall features. And these are probably better than anything a VPN service can offer you. It messes up your VPN connection when you try to torrent. Which is of course not good. All DefenceVPN users get shared IP addresses. This is great for privacy. Because any traffic, along with online data usage, on any given VPN server is a result of many VPN subscribers. So anyone trying to track a single VPN user will have an impossible task at hand. But sometimes, you do need a dedicated server because they provide more performance and speed along with reliability. DefenceVPN does offer dedicated servers. You can read their FAQ section for more information on dedicated servers. When we read the FAQ section it clearly said that all IPs are shared by default. But if a user wants to have a dedicated server, then she/he should contact [email protected] in order to get a quote. 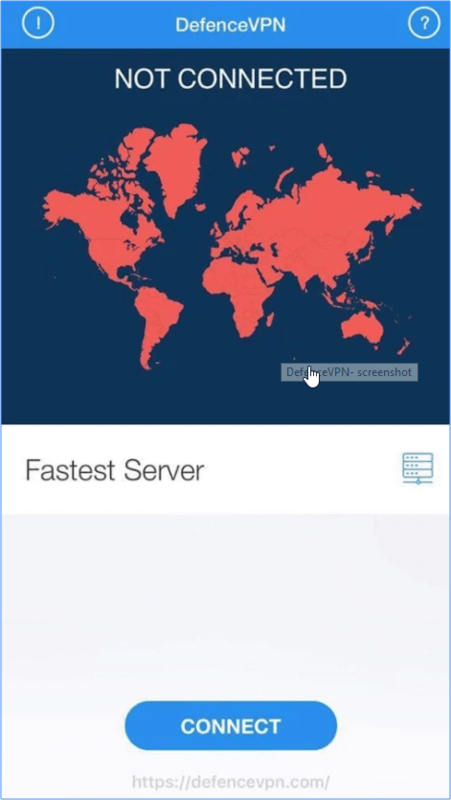 DefenceVPN offers users to connect up to two devices on a single account at any given time. Now DefenceVPN offers users to connect up to five simultaneous devices on a single account. This means that if you have a laptop and a smartphone then you can protect both (and more) with a single DefenceVPN subscription. If you have a PC and a tablet then that is great too. Most good VPN service providers allow you to connect up to five and sometimes six devices. So DefenceVPN isn’t great by any means. DefenceVPN is sufficiently solid if we are talking about privacy. Because its official website gives you all the information you could need if you are concerned about your privacy while using DefenceVPN. The company says that it has a no-log policy. And we trust that it will do what it says. We always find VPN service providers who promise a no-log policy to be better than the ones who don’t. And people should applaud VPN service providers who provide true zero-log policy. On its official website, DefenceVPN also says that the company takes user privacy very seriously. The company does not keep any log on any of its user activities and does not divulge identifying information with law enforcement agencies or any other third-party company. All of this is wonderful to hear. As far as privacy goes, there is more good news. Well, DefenceVPN now has a warrant canary. Though many experts don’t see a use for warrant canary, we tend to think that something is better than nothing. A warrant canary is just a piece of document. VPN service providers use this document to inform users that no government agency has served the VPN service provider in question with any clandestine subpoenas. So what’s the use of these warrant canary documents? If your VPN service provider had a warrant canary and then the company removed it, then it means the government has got to it. If your VPN service provider doesn’t update it warrant canary then that means the government served the company a subpoena. Of course, as goes with all VPN service providers, you have to trust your VPN service provider. Established VPN service providers have huge customer bases. They also have proven track records of keeping user data safe and not divulging information. And hence we can’t say the same about DefenceVPN. The VPN service is based in Canada. DefenceVPN representatives would tell you that the company has many offshore VPN servers as well. But this is not an ideal situation. Because Canada is a signatory to the Five Eyes nation agreement. How does it ensure a zero-log policy? But we know that if it does, then DefenceVPN has done an excellent job of securing user privacy. Even if a government organization contacts DefenceVPN to give up user information, the company can’t. Because it doesn’t keep any logs. We have already talked about the official website, but let’s go into a bit more detail this time around. DefenceVPN official website is minimalistic in some sense. There isn’t a whole a lot of information packed into a tight area. In other words, the website is easy to read and navigate through. It doesn’t try to be all that glossy. But it is, in no way, ugly. The official website has a blog section. But it doesn’t have a whole a lot of content. DefenceVPN has a great setup resource section. It has guides, augmented with pictures, to help the user set up its service using PPTP and OpenVPN protocols. It also has a guide on how to set up the service on an iPhone using the IKev2 protocol. According to official sources, DefenceVPN offers 24/7 customer support. And it does that all the year around. Of course, we can’t test if the customer support is around on each and every day of the year. But a little research has never hurt anybody or has it. First, let’s talk about the live chat feature. While it has a cool looking button the website, we have found via our research that it is sometimes not available. Maybe it is because of the time zone difference but regardless a VPN service must have measures against that. There is also a ticket system to contact the DefenceVPN staff. Our research tells us that you should expect a response within a day. Generally speaking, you should expect their representatives to be knowledgeable and helpful. This is more than what we can say for a lot of top VPN service providers. At least DefenceVPN tries to make up for its shortcomings in other departments with a decent customer support feature. Make it easy for users to sign up for your service so that more and more users do so. DefenceVPN is not an exception. In other words, it has a really easy signup process. All you have to do is choose your plan and then enter your email address along with a password and credit card details. The official website will ask you beforehand which payment method you want to use. DefenceVPN now has dedicated apps for all major operating systems. All you need to do is go to their official website, sign up for a package and then download the client that is suitable for your operating system and/or device. The whole process is as easy as one, two, three. This is where DefenceVPN falls short. Because it doesn’t really have a client. Which is a bit more than difficult to set up. You’ll have to do a lot of manual work to get it to work. First of all, you will have to download the official OpenVPN GUI software application. Then you will have to download .ovpn files from the official website of DefenceVPN. The only good news here is that DefenceVPN has done the bulk of the work for you. Guides that have screenshots in them. If you want to use the guides to install the OpenVPN GUI software application then go read the official DefenceVPN blog right now. As mentioned before, you can either pay via Paypal or credit card. And no, you can’t pay cash. Since DefenceVPN doesn’t have a dedicated client, there is nothing to say about the user interface. DefenceVPN only gives out these .ovpn files that users must run on their installation of OpenVPN GUI application. So this section of DefenceVPN review doesn’t really make sense. All of these clients with some excellent advanced features such as double encryption and kill switch. Sadly, they still won’t unblock Netflix. You will have to download the Android client from OpenVPN Connect. Then you will have to import the .ovpn files. You will have to do this for each server you want to connect to. Now, remember, .ovpn files come in zip format. So you will have to extract those files first. And then email them to your own email address. After that, you need to open your email address. And then download those files. You should find those downloaded files in your browser’s downloads folder if you didn’t change it beforehand. When that is done, then all you need to do is to run these files on your OpenVPN application. For all this work, we are happy to inform you that the OpenVPN GUI client is really easy to use. That holds true both for Windows and Android. All VPN service providers reduce your download speed along with your surfing speed. There isn’t a single VPN service provider out there that can increase the download speed of your internet connection. So expect all VPN service providers to reduce your internet connection’s speed. The only question is by how much? That’s what we will discuss here. To really know how quick a VPN service is, one has to perform speed tests multiple times and on multiple servers, on multiple days. Then, one needs to average them out to really figure out how fast a VPN service truly is over an extended period of time. You don’t have to do that because we have done our own proper research. Remember, that results here will show DefenceVPN using the OpenVPN client. Our research for this DefenceVPN shows that DefenceVPN slows down your internet connection by a significant margin. This isn’t great news of course. But it doesn’t slow down your upload speed. We talked about this issue before as well. DefenceVPN protects users against any and all DNS leaks. And that’s probably because it uses the OpenVPN GUI client. It also protects against WEbRTC leaks. OpenVPN GUI has come a long way from being just a barebones VPN client. It now supports many advanced features. Advanced features such as Kill switch, auto-connect along with DNS leak protection. All of this is due to the hard work of engineers behind OpenVPN and not DefenceVPN. DefenceVPN is just a freeloader in this case. DefenceVPN used to provide server access in just seven to ten countries based on your package. But now it has the same server selection for all VPN subscribers. The total number of countries in which DefenceVPN has servers has risen to about 25. The new total number of servers now stands at 31. The cost of plans is definitely something that gives DefenceVPN an edge over all the average VPN service providers and probably its strongest point. The company allows users to connect up to five simultaneous devices. THis number is now sufficiently high, but it is extremely high considering the low price of all DefenceVPN packages. DefenceVPN automatically gets to have DNS Protection and WebRTC protection due to the fact that it uses an OpenVPN GUI client. Now in addition to OpenVPN GUI, users also have access to brand new dedicated apps for all major operating systems. Great variety in server locations. Our research for this DefenceVPN review shows that DefenceVPN isn’t great when it comes to keeping up your download speeds. In other words, your download speeds will suffer. It does not work with Netflix. Though it does unblock other streaming websites such as BBC iPlayer, YouTube, and Hulu. None of the features are of its own effrot because of a lack of a dedicated app. This has changed recently because DefenceVPN now has its own apps. DefenceVPN has made big strides since coming on the scene as a new VPN service provider. It can be a good VPN service for you depending on your needs. The company now has dedicated apps for Windows, Android, Mac OS, and iOS. This easily puts it in the upper echelons of the VPN industry. All its software applications support the safe and secure OpenVPN protocol. Moreover, the DefenceVPN packages still come at great prices. The number of VPN server has increased and so have the server locations. DefenceVPN is now a legit high-tech VPN company. The three packages cater to the needs of vastly different users. DefenceVPN does a good job of securing the customer’s privacy, security, identity and unrestricted web streaming. And then you have those extra features such as Kill Switch, auto-connect and double encryption. 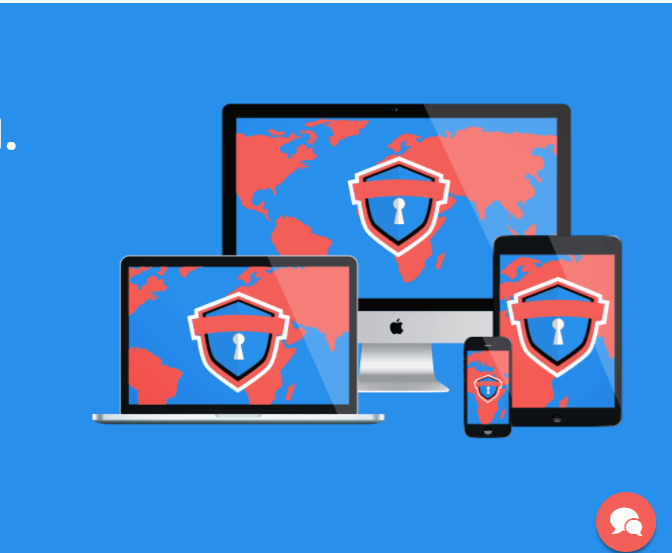 DefenceVPN protects you against DNS leaks and allows you unlimited access to P2P file sharing. They also have a warrant canary. In short, DefenceVPN used to be an average VPN service provider. It is now looking like an elite VPN service provider. But, we will still have to see how long can it hold up this new image. Of course, it will have to back all the new improvements with solid VPN performance. For now, we will still recommend that you go with IPVanish. IPVanish is our top rated VPN service and for good reason. To learn more about IPVanish read this IPVanish review. DefenVPN is the new player in town. It has taken a beating because of its earlier poor offering. But now it has tried to come back with a bang. It is still rapidly growing. And DefenVPN is doing that by offering some advanced features along with new and shiny dedicated apps. All of this is great, but it is changing its pricing packages along with offered features too rapidly we think. And this doesn't speak well of the VPN company's long-term goals.